Administrative Law Judge June R. Lehrman, from the Office of Administrative Hearings (OAH), State of California, heard this matter in Santa Barbara, California, on December 3, 4, 5, 6, 10 and 11, 2012. Andrea Marcus, Attorney at Law, represented Student. Student’s mother (Mother) attended the hearing on all days. 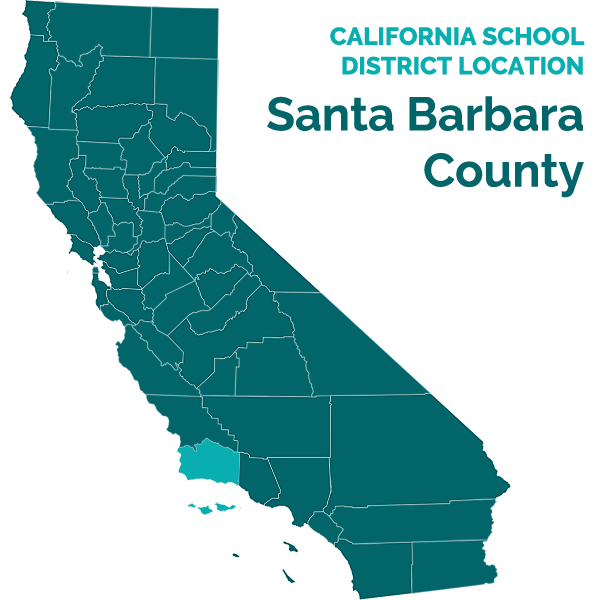 Mary Kellogg, Attorney at Law, represented Santa Barbara Unified School District (District). District Director of Special Education Kirsten Escobedo attended the hearing on all days. 1 Documents submitted after close of business on January 2, 2013, have not been considered. 2 The Issues have been re-numbered for clarity of analysis. Otherwise, at the request of Student’s counsel, the Issues as stated here track the specific wording used in the Due Process Hearing Request. Did District properly implement Student’s IEPs by giving him the speech and language services provided for in his IEPs. 1. Student is a nine year-old boy, eligible for special education and related services under the eligibility category of autistic-like behavior. He is severely impacted, nonverbal, and lacks a functional communication system. He vocalizes, and his vocalizations may have communicative intent, but he does not verbalize. He exhibits sensory-seeking and self-injurious behaviors. He bites himself and others when frustrated. He pinches and grabs. His sensory-seeking behaviors include the desire to put both edible and inedible objects in his mouth. He has limited social skills, no reciprocal joint attention skills, and little interest in engaging with others. He occasionally interacts with peers, and although it is rare for him to seek others out, he responds when approached. According to his classroom teacher Krista Knecht, he works hard for preferred reinforcers such as food or snacks, is good at patterns, and learns quickly. He enjoys walks, musical instruments, a scooter board, trampoline, and sensory exploration materials. 2. In the credible opinion of Dr. Ariella Parker, Clinical Director of the nonpublic agency (NPA) Support and Treatment of Autism and Related Disorders (STAR), Student is likely to face lifelong challenges, as indicated by his lack of spoken language before age five, his lack of joint attention skills, and his severe self-stimulatory behaviors, all of which are prognostic indicators for severe impact on future functioning, according to both peerreviewed and non-peer reviewed literature. Dr. Parker holds a bachelor’s degree from UCLA, a master’s degree and Ph.D. in special education, and is a Board Certified Behavior Analyst. She has worked with Student intermittently since he was two years old. She has worked with many individuals on the autism spectrum, and is familiar with the literature regarding diagnostic and prognostic indicators of certain symptoms. 3. Sometime in or around the spring of 2011, Student obtained an independent educational evaluation (IEE) in the area of assistive technology (AT) and alternative augmentative communication (AAC) performed by the NPA Augmentative Communication Therapies, whose principal was Ms. Cindy Cottier. Ms. Cottier is a speech language pathologist who has developed a consulting business specializing in assistive technology. Ms. Cottier performs assessments, reviews available technical innovations and makes recommendations for particular devices depending on students’ unique needs. She currently services 54 school districts including District. 4. Ms. Cottier recommended that Student would benefit from an iPad communication device using a touch screen, allowing him to tap with less pressure than membrane style devices, and permitting the use of large clear photographic icons as opposed to drawings. In her opinion, use of a picture exchange communication system (PECS), utilizing physical cards depicting items and activities, was appropriate as a secondary means of communication, for example if the iPad was unavailable. Ms. Cottier preferred a technology for Student with a sensitive touch screen, in order to reduce the physical and mental effort necessary to communicate. 5. In or around April 2011, Student’s family bought an iPad for home use. They requested District to purchase one for Student to use at school. 6. Student’s IEP team met on April 21, 2011. The team reviewed his present levels of performance (PLOPs). At that time he was able to sort items by red, blue and yellow color, with verbal and gestural prompts. He could match objects with verbal and gestural prompting. He could independently complete an eight-piece puzzle. He was inconsistently able to indicate a preference for one of two objects, one preferred and the other non-preferred. He could follow simple one-step directions, when given gestural cues. He demonstrated limited pre-linguistic skills, including variable attention and eye contact, poor imitation and use of gestures, and poor turn-taking and play skills. He often resorted to tantrum behaviors, crying, screaming, hitting, biting, pinching and throwing. He was able to complete all steps of toileting, when taken, but required prompting to complete many of the steps. He could eat by himself with some spillage. 7. The April IEP team developed 13 goals in the areas of adapted physical education (APE), behavior, pre-academic skills including sorting and discriminating preferred from non-preferred items, expressive language, fine motor/stamping, self-help, pragmatic language, and receptive language. 8. Goal number five was in the area of need of pre-academics and was referred to by the team as the “discrimination goal.” It referred to use of a dynamic display device, stating that by April 21, 2012, Student, when presented with a preferred and a non-preferred picture on his dynamic display device, would point to the preferred choice on eight out of 10 trials across settings on four out of five trial days. The IEP indicated that no baseline for this goal had yet been established with a dynamic display device, as the device had not yet been delivered to the school setting. 9. Goal number six, in the area of need of expressive language, stated that by April 21, 2012, Student would accurately communicate seven basic wants and needs by signs and gestures to teaching staff, in 75 percent of attempts over five sessions. Goal number 9, in the area of need of pragmatic language, stated that by April 21, 2012, Student would secure his communication partner’s attention via light tough or eye contact before communicating needs/wants in six of 10 opportunities, with prompts, over three sessions, across school settings and with different peer and adult partners. Goal number 10, in the area of need of receptive language, stated that by April 21, 2012, Student would demonstrate improved receptive language by independently responding appropriately to “touch/show me (noun)” commands, when presented on an iPad, with vocabulary targets in an array of photographs with one photograph serving as a distractor, in 75 percent of opportunities in at least four trials in five consecutive sessions. The baseline for this goal stated that the iPad had not yet been delivered to the school setting. 10. District’s speech language pathologist, Alissa McFall, was working with Student on his speech/language goals using PECS cards, rather than an iPad. 11. The April 2011, IEP contained one behavior goal, to communicate the need for a break by independently signing “break,” in order to escape an undesired activity instead of engaging in a tantrum or in self-injury, in four out of five opportunities over five consecutive days, as measured by data recorded by staff. 12. The IEP included a behavior support plan (BSP) and a list of “special factors” relating to Student’s behavior. The BSP targeted behaviors of biting, hitting, scratching, pinching, crying, and screaming, and it reiterated the behavior goal. 13. The BSP stated the team’s hypothesis that the primary function of Student’s target behaviors was escape or avoidance, and that the primary antecedent conditions were the making of demands on Student. Secondary antecedent conditions were illness, pain, hunger, or blocked access to preferred items and activities. 14. The BSP recommended use of a visual schedule to try to prevent the behaviors, utilizing the “Premack principle,” i.e. telling Student what would happen first, and then what would happen thereafter. Other proactive, or preventative, strategies recommended were contingent reinforcement-based teaching strategies, and modifications to curriculum. Other proactive strategies were interspersal training (alternating between acquiring skills and maintaining already acquired skills); embedded choice opportunities; and establishing behavioral momentum. The BSP recommended that the team should try to teach and reinforce Student’s use of functional communication through signing and picture icons, as the main desired replacement behavior. 15. The BSP also recommended reactive strategies, i.e., after behavior had already occurred. It included extinction methods of intentionally ignoring behaviors whenever safe to do so, or blocking Student from escaping. The BSP also recommended prompting or redirecting Student to use functional communication, as a reactive strategy. It specifically recommended presenting Student with a chew toy to chew on, instead of biting himself. 16. Other than the behavior goal’s requirement that Student’s progress be measured by data recorded by staff, the BSP did not specify any data-collection requirements. The Notes of the IEP stated that the team was “working to define the data collection.” The BSP established a weekly schedule for the case manager Ms. Knecht to send data sheets home to Mother, and provide a daily communication log. 17. The offer of placement in the April 2011 IEP was a special day class at Cleveland Elementary School (Cleveland), with academic support. The academic support was to include hand-over-hand assistance, visual and verbal cues and prompting, modeling, redirection, frequent breaks, a visual schedule, PECS, and use of the Premack “first (nonpreferred activity)…, then (preferred activity)…” technique. The offer of related services was two, 30 minute occupational therapy sessions weekly, one 30 minute weekly session of APE, a one-to-one aide throughout the school day, and weekly speech services as follows: two 30 minute individual sessions, one 30 minute group session, and one 30 minute consult session for the speech therapist to consult with Student’s aides. Although the notes of the IEP specifically stated that the consult sessions were to be with the aides, the actual offer simply stated “consult” without elaboration, and Ms. McFall interpreted the consult sessions to include observation of Student’s different service providers other than his aides, to ensure consistency amongst team members. The notes of the IEP team discussion also refer to a communication book, which Mother interpreted as an IEP requirement that speech logs be sent home to her. 18. For ESY during summer break, the IEP made the same offer but at Monroe Elementary School rather than Cleveland, with some modifications in frequency and duration of services. In pertinent part, the IEP provided for two 20 minute individual speech sessions weekly, and no group or consult sessions, during ESY. 19. The IEP also offered to provide a dynamic display device, with communication software, along with an initial three hours of training for teacher, aides and parent, with 30 minutes per month of consultation support for the device. 20. District purchased an iPad for Student’s use in or around August 2011. At or around that time, Ms. Knecht and Ms. McFall received initial training on the use of the iPad with Proloquo to Go software. Proloquo to Go is a communication application that develops screens with symbols, photographs or drawings that represent linguistic units, i.e. items or activities, which can then be indicated with a tap, after which the device then speaks the name of the item, or speaks a complete message. It is completely customizable to particular vocabularies. 21. By September 2011, the device was still not in regular use by Student at school, because its delivery had been delayed. 22. From at least September 2011 onward, Ms. McFall felt that group speech sessions were difficult for Student. In her opinion, Student did not have the prerequisites, such as imitation skills, necessary to make group speech effective. Student’s behaviors increased during group speech sessions; he had difficulty with peers; and it was difficult to keep him and others safe. Ms. McFall therefore determined to work on Student’s speech goals with herself and with Student’s aide, rather than with peers in group speech sessions. She therefore converted the thirty weekly minutes of group speech time allocated in the IEP, into one additional weekly individual speech session. In her opinion, since Student lacked the prerequisites for group speech, he lost no educational benefit. 23. The iPad was first utilized in Students’ speech therapy sessions in October 2011, but the session did not go well. Student became extremely frustrated, and bit his wrists numerous times. Use of the device was put on hold, and the use of PECS reinstated in speech sessions. 24. On October 20, 2011, Ms. McFall wrote an email to Mother informing Mother that she would no longer write notes in the daily communication log that got sent home because it took too much time. 25. An IEP amendment meeting was held November 14, 2011. The team reviewed Student’s progress from April, and modified his goals, but there was no alteration in placement or services. Specifically, two speech goals were added. The first of these stated that Student would participate in three different “circles of communication” with two to three different communicative partners, across settings, in three out of five trials. The second goal involved travelling to seek communication, and stated that upon seeing and wanting an item depicted in a removable PECs picture, Student would take the picture to a communicative partner two feet away and give the picture to the partner, in nine out of 10 trials using three different objects with 70 percent success with minimal prompting. 26. The notes indicate a discussion about Student’s refusal to use the iPad at school, because it did not have the same game, picture and video options on it as did Student’s home device; Mother responded that the team should allow Student to use the iPad to request the preferred games on the device as he could at home. Ms. McFall responded that she felt Student needed to acquire the prerequisite basic aspects of meaningful communication, before he could begin to generalize the use of the iPad across settings. There was also discussion of how to improve communication between Mother and Ms. McFall regarding Student’s progress; Mother interpreted this as an IEP requirement that speech logs be sent home to her. 27. Although the offer of “consult” speech sessions was not revised, the notes indicated that the weekly consult sessions were to be used to “observe and support an aide working with [Student] weekly.” Mother interpreted this as an IEP requirement that Student be present for all consult sessions. 28. The notes also indicated a discussion about Student’s ingestion of a wood chip while at school, whether Mother was timely notified, whether there were other unreported similar incidents and whether the aide support was adequate. 29. In January 2012, Student filed for due process in OAH Case Number 2012010200, naming District as the respondent. 30. In January and February, 2012, Ms. McFall slowly reintroduced the iPad into Student’s speech therapy sessions. 31. IEP progress reports dated February 2012 showed the device was in use by February 2012, and that Student was making inconsistent progress toward Goal Number five, the discrimination goal, using it to discriminate between a preferred and a non-preferred object. 33. As compensatory education, Paragraph 5 (f) of the SA provided that District agreed to fund a total of 35 hours of STAR providing on-site direct feedback and training to District staff working with Student including his aides, and speech language therapist, in the school setting, to be provided within four weeks of execution of the SA. 34. As compensatory education, Paragraph 5(g) of the SA provided that District agreed to fund eight hours of AT training by Cindy Cottier, as support to the team members who worked directly with Student. The training was to consist of two initial two-hour trainings to include Student’s teacher, aide, speech language therapist, occupational therapist and APE teacher. Scheduling of the trainings was agreed to be dependent on Ms. Cottier’s availability, however the SA provided that in the event Ms. Cottier was available prior to June 1, 2012, and District staff would make themselves available for said training. 35. The SA stated that the services and reimbursements it contained did not constitute, and would not be construed as, an admission of what is or was a FAPE for Student. The SA contained broad release language waiving all claims, known or unknown prior to the date of its execution. The SA reflected that the parties were both represented by counsel, and Student’s counsel signed, approving it as to form. 36. During the four months after the SA’s release of prior claims on May 7, 2012, until the filing of this matter on September 7, 2012, Student was educated in the autism spectrum program at Cleveland taught by Ms. Knecht. There were six students in her classroom, and five adults including herself. Ms. Knecht holds degrees from the University of California, Santa Barbara (UCSB) in English and education and holds a moderate-severe special education credential. Her testimony at hearing was highly credible and amply demonstrated her formidable intelligence, dedication and competence. Of particular impact was her demonstration of her techniques of drawing Student’s attention, re-directing, prompting and engaging with him. 37. Cleveland is a year-round-school with a shortened summer break. The 20112012 school year ended approximately on June 18, 2012. ESY went from approximately June 18 until July 16, 2012. During ESY, Student attended Monroe Elementary School, where Ms. Knecht continued to be his classroom teacher. The 2012-2013 school year began on approximately July 16, 2012 at Cleveland. 38. During both the regular school year and ESY, Student had full-time one-to-one aide service. His primary aide was Juan Lopez, and his secondary aide was Christoph Thart, throughout the regular school year and ESY. 39. Ms. Knecht and Student’s aides kept copies of Student’s IEPs and BSP in her classroom, and worked on implementing the goals and objectives therein. Student’s daily schedule, after getting off the bus at around 8 a.m. was as follows: Mr. Lopez saw what was in Student’s backpack, i.e., glasses, lunch, notebooks, and the like. After acclimating and exploration time for about 10 minutes, Mr. Lopez worked with Student on IEP goals. Mr. Lopez worked with Student for 20 minute sessions, with sensory breaks both inside and outside, using music toys, trampoline, a bouncy ball, a scooter board, and snack breaks. Mother came often for lunchtime, on an average of three times each week. After lunch, Mr. Lopez transitioned and redirected Student back to the classroom, and the above activities continued, working on IEP goals, with outdoor breaks as needed, until about 2:00 p.m. when Student got prepared for the trip home. Mr. Thart worked with Student during Mr. Lopez’s breaks, usually about one hour per day. Ms. Knecht worked with Student directly at least once weekly to stay fresh on his PLOPS and to monitor progress on his goals. 40. Ms. Knecht, Ms. McFall, Mr. Lopez, Mr. Thart and STAR all confirmed at hearing that during speech sessions, Ms. McFall utilized the iPad with Proloquo to Go software to work with Student, from at least May 2012 onwards. She tried various strategies to increase his usage of it as his AAC device, including attempting to block his exiting the Proloquo to Go application, modifying the icon displays to increase his ability to push the targeted icon, and continuing to try novel object icons, to increase his repertoire of preferred objects. 42. Sometime after the SA was executed, District Director of Special Education Kirsten Escobedo instructed Ms. McFall to provide the group speech sessions that the IEP called for. Ms. McFall began providing group speech sessions on Friday June 1, 2012, with one peer, and continued with two or more peers from July through August. For that time period, except when Student was absent, and excepting one missed group session during the week of July 16, 2012, Ms. McFall provided all the direct service hours that were called for by the IEP (two 30 minute individual sessions, and one 30 minute group session.) In the group speech sessions, she and Student’s aides worked with participants with students seated, working on communicating with each other. For example, Student would request a snack on his iPad and another student would bring it to him, or he would point to “more” on his iPad and the other student would comply. Ms. Knecht attended Student’s group speech sessions. 43. Ms. McFall consulted with Student’s aides Mr. Thart and Mr. Lopez at least every other week, with Student present, and with Student using his iPad. She also consulted with other service providers including the occupational therapist Lisa Foote. Ms. Foote’s testimony at hearing about these consult session was vague; Ms. Foote was withdrawn in her demeanor at hearing, not forthcoming with information and overall not credible. At one point she testified that her consults with Ms. McFall occurred during her OT sessions with Student, then she retracted that and stated the consults might have been during speech therapy. She also testified inconsistently that Student was and was not present during the consults. Further, Ms. Foote was vague about the number and scheduling of the sessions, which appear to have been unscheduled and impromptu when she was on-site at Cleveland. 44. Immediately following the execution of the SA, District engaged STAR to fulfill its obligations under Paragraph 5(f) of the SA. 45. Dr. Parker oversaw the STAR staff who provided the training and consultation services. Vanessa Felts was a Board Certified Assistant Behavior Analyst (BCABA) working under Dr. Parker’s supervision. Ms. Felts provided the majority of the training and consultation at the school site. 46. STAR conducted 35 hours of training between May 11, 2012, and June 1, 2012, to the school staff who worked with Student. Initially on May 11, 2012, STAR went to Cleveland for between one and two hours, to observe District staff. On May 14, 2012, STAR conducted a two-to-three hour didactic training, using a Power Point presentation, to Student’s team including Ms. Knecht, Ms. McFall, Mr. Lopez, Ms. Foote, and APE instructor Brian Sharpe. Student’s secondary aide Christoph Thart was not assigned to Student until the last two weeks of May, and did not attend the STAR didactic training. 47. STAR’s didactic training was in regard to the conceptual underpinnings and principles of applied behavior analysis (ABA). The training was geared toward Student individually. Using Student’s BSP, STAR presented definitions and applications of ABA behavior support strategies, identifying strategies as proactive (i.e. preventing behaviors from arising) or reactive (i.e. after behaviors had occurred). 48. After the May 14 didactic training, STAR went to the school site every day during the three week period from May 14 through June 1, 2012, for approximately two hours each day, to watch staff working with Student and complete the 35 hours of training required by the SA. 49. At hearing, Dr. Parker explained that not all students can be prevented from engaging in maladaptive behaviors, and one cannot control for every variable. For example, one cannot control for a child’s internal state. Providers may have no answer for why a child is acting out. Certain functions are better addressed than others; one can better control for functions of escape or attention seeking, but it is very difficult to counteract sensory seeking behaviors, if one cannot find a replacement behavior the student likes as well. The occurrence of challenging behaviors thus does not necessarily indicate that a BSP isn’t being properly implemented. 50. Ms. Knecht and the aides took daily data to monitor Student’s progress on educational goals, to document his behaviors, to document restroom breaks, to make notes for input into future IEPS, and for the communication log sent daily or weekly to Mother. The entries were not in any particular format. 51. During the STAR training in late May, STAR introduced data collection techniques to District staff. STAR explained that the purpose of data collection generally is to track a student’s progress, to catch maladaptive behaviors, and to see if reinforcement techniques are working. Data collection regarding the observable antecedents to maladaptive behaviors, such as environmental contexts or triggering events (who was present, what was the noise level, was the student hungry or tired, etc.) is essential in order to hypothesize the function of the behaviors. ABA requires knowing the function of the maladaptive behaviors and then providing a student with a functionally equivalent replacement behavior. Collecting data regarding the consequences of the behavior (e.g. withholding of a preferred item unless a student makes a proper sign indicating he wants it), and reviewing it over a period of time, is necessary to inform staff if their strategies are correctly encouraging or discouraging the target behaviors. Such data is known as “A,B,C” data, referring to antecedent, behavior, and consequence. According to Dr. Parker, and Ms. Felts, it would be best practice to take A,B,C data regarding all self-injurious behaviors, in order to discern the function of the behaviors and to develop appropriate replacement behaviors. 52. However, neither STAR nor District undertook a formal analysis of the function of Student’s behaviors. Both Ms. Felts and Dr. Parker believed that they already understood the function of Student’s biting behavior to be escape or self-stimulation. 53. Neither STAR nor District undertook a formal analysis of the antecedents to Student’s behaviors. Ms. Knecht and the aides were watchful and attentive to Student’s moods. By informally analyzing what they knew about Student, Ms. Knecht and Mr. Lopez believed Student’s behaviors were triggered by Student’s own moods or internal state rather than environmental factors that could be controlled. The team also felt they understood that Student’s biting behaviors were preceded by visible frustration, whining, hand waving, swinging arms, crying, and pinching. They watched for these situations and tried to keep Student as calm, level, and safe as possible. 54. No formal analysis was undertaken regarding Student’s reactions to different reinforcers. The team under Ms. Knecht’s direction, however, paid attention to Student on a day-by-day basis, came to consensus as to what reinforcers he was interested in that day, and utilized those, although without writing them down. 55. STAR recommended modifications to the team’s implementation of the BSP’s suggested reactive strategies. Instead of simply presenting Student with a chew toy when he bit himself, as recommended by the BSP, STAR suggested first extinguishing the selfinjurious behavior by holding Student’s hands down or withholding attention from Student, then redirecting or prompting him, and then providing alternate sensory input. After receiving the STAR training, Ms. Knecht, Student’s aides and Ms. McFall, all combined extinction techniques first, followed by prompting or redirection techniques, and then supplied alternate sensory input. Ms. Knecht implemented the BSP in her classroom incorporating STAR’s suggested modifications. 56. Ms. Knecht and the aides also regularly utilized proactive strategies to prevent Student’s self-injurious behaviors, utilizing the visual schedule and Premack order per the BSP, so Student was told what to expect throughout the day, and what he must do in order to attain a preferred activity. Ms. Knecht also provided choice opportunities such as snack reinforcers and oral motor stimulation, as provided for in Student’s BSP and as recommended by STAR. Mr. Thart and Mr. Lopez used the proactive strategies of giving Student multiple breaks as needed, as recommended by STAR; with regular sensory breaks every 15 minutes to alleviate stress; short walks or other preferred activities; exercises with scooter boards; stimulating activities like kicking a large colored ball to chase; and music incorporated into the school day. Both Mr. Thart and Mr. Lopez had Student’s chew toy handy, in order to proactively offer it to him to prevent biting, when he exhibited signs of agitation or frustration. 57. District engaged STAR to fulfill its obligations under Paragraph 5(b)(ii) of the SA, which required “fidelity checks” every six weeks. In ABA analytical protocols, “fidelity” means correct implementation of behavior interventions. ABA providers, in working with school systems, utilize “fidelity systems,” whereby they observe school staff and take data regarding staff’s actions. Thus, “fidelity systems” involve observing and tracking staff’s use of behavioral interventions while staff is working with students. The data then inform the ABA provider whether staff can or cannot correctly and independently implement behavioral strategies. 58. STAR reorganized the behavioral strategies set forth in Student’s BSP into their own format and parlance, and generated a document entitled “Instructor Fidelity Form,” which it used during its “fidelity checks.” STAR watched staff in two-hour increments working with Student. STAR rated staff in categories of “staff readiness” (including subcategories for having curriculum materials, BSP material, and having reinforces handy), “antecedent strategies” (including categories and subcategories for visual supports, choice making opportunities, ecological arrangements, accommodations and making effective requests), “reinforcement based teaching strategies” (including categories and subcategories regarding motivational systems, differential reinforcement, non-contingent reinforcement), “reactive strategies” (including categories and subcategories for extinction, redirection, and safety measures), and “progress monitoring” (including data collection). The forms allowed for ratings of staff in each subcategory from zero to four. “Zero” reflected that the recommended strategy was not observed at all when it would have been appropriately utilized. A rating of “one” reflected that STAR modeled the correct use of the recommended strategy. “Two” reflected that District staff implemented the recommended strategy, but required frequent or explicit correction. “Three” reflected that District staff implemented the recommended strategy, with minimal or indirect feedback. “Four” reflected that District staff implemented the recommended strategy correctly, on their own initiative, without any need for corrective feedback. In the opinions of Dr. Parker and Ms. Felts, “fidelity” requires scores of a majority of fours. Such scores would indicate that staff could generalize the strategies independently to new situations. In Dr. Parker’s and Ms. Felts’ opinion, some threes, indicating staff’s ability to correctly implement the strategy under current circumstances, were also acceptable. 59. STAR performed “fidelity checks” during the 35-hour training period in May, on all staff members who worked with Student. Thus, STAR observed Ms. Knecht on May 11; Mr. Lopez on May 14; Mr. Lopez on May 18; Ms. Knecht and Mr. Thart on May 23; Mr. Lopez and occupational therapist Ms. Foote on May 24; Mr. Lopez on May 25; APE instructor Brian Sharpe on May 30; Mr. Lopez and Ms. Foote on May 31; Mr. Thart and Ms. McFall on May 31; and Mr. Lopez and Mr. Thart on June 1, the last day of the training. 60. After the completion of training on June 1, STAR decided which staff members to observe, and when. STAR observed Mr. Thart about eight weeks later on July 26. On that date he obtained some scores below four; he obtained several threes, a one for not independently having BSP materials handy, a two for reviewing the visual schedule and a two for data collection. Thereafter, after an intervening four and a half weeks, STAR observed Mr. Lopez on August 27; Mr. Thart about two weeks later on September 6; and Mr. Lopez five weeks later on October 11. On those dates the aides scored all threes and fours. 61. During ESY from June 18 until July 16, 2012, Student’s speech services were provided by District speech pathologist Irene Seybold. Ms. Seybold provided twice weekly sessions for 20 minutes each, except on two occasions when Student was absent. Ms. Seybold worked on the iPad with Student, to communicate requests and make choices between items; she was instructed in Student’s iPad usage in consultation with Ms. McFall, and was assisted by Mr. Lopez. During these ESY speech sessions, Ms. Seybold would set the iPad on a table in front of Student. The screen showed two icons at a time, and he could choose by tapping, or through prompting or hand-over-hand guidance. Once he selected an item, it would be given to him. 62. At the end of the 2011-2012 school year in June 2012, and the beginning of the 2012-2013 school year beginning after ESY in July, Student was assessed in preparation for his upcoming triennial IEP scheduled for August. Student was assessed in the areas of occupational therapy, adapted physical education, psycho-educational status, academics and speech and language. 63. In the area of OT, Student was assessed using the School Function Assessment (SFA), Sensory Processing Measure School and Home Forms (SPM), and non-standardized assessment using the fine motor subtest of the Peabody Developmental Motor Scales 2d Edition (PDMS-2) as well as through ongoing classroom and treatment observations. Student’s highest areas of performance were in the areas of eating/drinking, travelling, maintaining and changing positions, and manipulation with movement. Student’s cognitive fine motor scores as tested on the PDMS-2 subtests showed grasping skills in the age range of from eight-to-16 months, and visual motor integration skills in the age range from 14-40 months. For functional self-help and fine motor games, tasks and manipulatives, Student demonstrated better performance but needed prompting to begin and finish tasks. Student was able to imitate and made horizontal lines or scribbles when given a writing utensil. He was unable to imitate vertical, circular or other pre-writing strokes. He could engage in fine motor manipulative tasks and showed more interest and attention if the tasks were novel. 64. In APE, Student was assessed using the Curriculum, Assessment, Resources and Evaluation-Revised (CARE-R) and by teacher observation. His loco-motor skills in jumping, running, ascending and descending, and walking a balance beam ranged from twoto-five years of age. His object control skills in throwing, kicking, and striking ranged from 21 months to three years. 65. In the area of psycho-educational status and adaptive living, school psychologist Natasha Henley administered the Leiter International Performance Scale-Revised (Leiter-R), a test designed to assess nonverbal cognitive functioning in children and adolescents, especially those who cannot be reliably assessed with traditional intelligence tests due to communication disorders or cognitive delays. Student scored a Brief IQ Composite Standard score of 36, which corresponds to a percentile rank of less than .1, or lower than one out of 1,000, which is classified as severely delayed. On the Vineland Adaptive Behavior Scales, Second Edition (Vineland –II) Teacher Rating Scales, his adaptive behaviors in the domains of communication, daily living skills and socialization all fell in the low range, below the first percentile, with age equivalencies under three. In the assessor’s opinion, the results showed Student could learn, but his pace should be expected to be very slow. 66. In the area of academics, Ms. Knecht assessed Student’s physical development, language development, cognition, adaptive, and social emotional development using the Brigance Inventory of Early Development II (Brigance II). Although the Brigance II was designed for younger children aged seven and below, it was selected as being the most appropriate assessment tool to evaluate Student’s developmental levels. Ms. Knecht did not place percentile rankings on Student’s scores, finding percentile ranking inappropriate due to Student’s chronological age being one year and seven months above the oldest percentile ranking provided for the Brigance, but she did generate age equivalencies for each of his scores. His scores in physical development placed him in age equivalencies between 18 and 55 months, with his total physical development score in the 31 month range. His language development scores ranged between two and 19 months. His cognition scores ranged from 25 to 26 months. His daily living scores ranged from 24 to 35 months. His social and emotional development ranged from three to 31 months. 67. Ms. McFall assessed Student’s hearing vocabulary using the Receptive One Word Picture Vocabulary Test (ROWPVT); his speaking vocabulary using the Expressive One Word Vocabulary Test (EOWVT), his preverbal and verbal communication skills using the Rossetti Infant-Toddler Language Scale (Rossetti); his language skills deficits using the Preschool Language Scale-4th Edition (PLS-4); and she conducted a non-standardized evaluation of Student’s receptive/expressive language and play skills on the iPad. His scores on the ROWPVT and EOWVT indicated that his receptive and expressive vocabulary repertoire was significantly delayed as compared with other children his age. On the Rossetti, his scores in language comprehension skills ranged from age equivalencies between three and 12 months. On the PLS-4, Student demonstrated receptive and expressive language skills in age ranges less than two years. Ms. McFall’s review of Student’s use of the iPad over the previous year concluded that he was able to be directed to the device and push an icon to request an object; however his ability to use the device continued to be inconsistent and prompt dependent; making it difficult to determine if he actually understood the meaning of each sign. 68. On July 20, 2012, Student’s Mother noticed an unexplained bruise on his skin near his groin. She had heard nothing from school about any incidents, and nothing was noted on the communication log. Mother took Student to the hospital emergency room. 69. The doctor strongly suggested that Mother file a police report, since nonverbal children who may have been abused are subject to investigation. Mother did so. She did not believe any District staff had hurt Student nor been involved, so she warned District that the report had been filed and the police might be asking questions. In late July, or the beginning of August, Mother noticed Student had an unexplained broken tooth, and a black eye. 70. In mid-August, Student began exhibiting new maladaptive behaviors of grabbing and pinching. Ms. Felts felt that A,B,C data should be taken to analyze the function of the new behaviors. Ms. Knecht and the aides collected A,B,C data regarding the grabbing, pinching, and Student’s other behaviors on August 10, August 13, August 14, August 15, August 20, August 22, August 23, August 24, August 27, August 29, August 30 and September 4. Ms. Felts trained staff how to review the A,B,C data, and she reviewed it herself to formulate a hypothesis about the function of Student’s behaviors, but she did not come to a conclusion and no formal analysis of the data was undertaken. Ms. Knecht looked over the data sheets every week to see if any patterns emerged. Her analysis was not recorded, but was informally discussed by the team. The antecedents seemed to be chaos or noise. As a proactive strategy, Ms. Knecht did her best to keep noise in the classroom to a minimum, and, when not possible, would remove Student from the room. Ms. Knecht also analyzed the consequence data, and discerned that acknowledging and redirecting Student seemed to work less well than ignoring the behavior. She found this information to be very useful. 71. In mid-to-late August, Mother met with Ms. Escobedo, and wrote her an undated letter, requesting that Ms. McFall be removed from Student’s IEP team. The letter raised complaints concerning Ms. McFall’s performance both before and after the May 7, 2012, SA. Mother felt that during the entire previous 2011-2012 school year, Ms. McFall had refused to implement iPad usage and had refused to conduct group speech sessions with Student. Mother also felt that Ms. McFall was not sufficiently communicating with her through use of communication logs. The letter also complained about Ms. McFall’s speech assessment’s information regarding the history of Student’s use of the iPad during the 20112012 school year. Mother also felt that Ms. McFall was not in agreement with STAR’s recommendations. Ms. Escobedo did not agree to replace Ms. McFall, feeling that Ms. McFall was highly qualified, worked well with the team, and was implementing Student’s program. She viewed Mother’s objections as personal. 72. On August 23, Mother and her attorney requested that a functional analysis assessment be conducted to determine the function of the behavior of pinching. 73. On August 24, Student bit another student at school, without any observable antecedents leading up to it. Staff filed an incident report which was provided to Mother. 74. Ms. Escobedo was responsible for scheduling the training with Cindy Cottier provided for by Paragraph 5(g) of the SA. Ms. Escobedo started discussions with Ms. Cottier about scheduling the training prior to May 29, 2012, when she notified Mother by email that Ms. Cottier was not available prior to June 1, and that she was working to schedule the training after ESY. Some District staff members who worked with Student were neither contracted for, nor available during ESY, although Ms. Escobedo did attempt to make them available. Ms. Cottier’s first availability following ESY was at the end of August, which is when the training was scheduled. 75. The first session of Ms. Cottier’s AT training took place on August 20, 2012. Ms. Knecht, Mr. Lopez, Ms. McFall and Mr. Thart attended. The second session of the AT training took place on September 5, 2012. The same attendees attended, with the addition of District behaviorist Elissa Francis, STAR personnel, APE instructor Brian Sharpe, occupational therapist Ms. Foote, and Ms. Escobedo. 76. Each training session lasted two hours. The trainings were specific to Student. Student attended for the second hour of each session, during which time Ms. Cottier watched staff working with Student on his iPad, and gave feedback. Mr. Lopez was with Student and therefore only attended when Student was present. Ms. Cottier did not believe this interfered with his ability to implement her recommendations. Her observations of Mr. Lopez working with Student, and Mr. Lopez’s input at the training sessions, indicated to Ms. Cottier that he understood and could implement her recommendations. 77. On the first training day, Ms. Cottier reviewed the programming of the iPad and watched Student interacting with it. Student appeared to be uninterested in the device, and unmotivated. He was familiar with the device but was not making selections, even with prompts. 78. Ms. Cottier recommended several modifications to the way the team was using the iPad with Student. She suggested moving the device farther away from Student; providing more pressure or resistance on Student’s hand to prevent multiple repetitive taps; color coding the icons, which would require updating the Proloquo to Go software; placing the iPad on a stand; placing it vertically rather than horizontally so the screen would appear in larger “landscape” rather than “portrait” layout; placing a sticker over the “home” button to prevent inadvertent exiting from the program; a protective cover for the device; a carrying case for portability; and modification to the placement of icons on the screen to pair a highly preferred item with a less preferred item. Ms. Cottier’s working hypothesis was that the iPad required additional mental steps for Student, and that the number of mental steps had to be decreased, in other words made easier and more user-friendly, before Student would be motivated to use the device. 79. At the training there was discussion of the pros and cons of making the iPad available to Student while on breaks in the playground or on walks. The pros would be to give him access to the communicative tool at all times, especially during social time on the playground. Weighing against outdoor usage were the device’s tendency to overheat, running out of battery power usage, awkwardness of carrying the device around, and glare from sunlight. 80. Ms. Cottier felt that excellent progress was made between the first and second training sessions. Staff had carried through on her recommendations during the intervening two weeks, and Student’s responses were encouraging. Ms. Cottier felt that District staff were responsive and interested. Speech therapist Ms. McFall had been making changes and modifications on the displays on the device, to help Student to search and locate symbols. In Ms. Cottier’s opinion, Ms. McFall was not resistant to using it. Student was demonstrating more visual attention to the device, and more interest in scanning the display. Although Student’s interest in the device had improved and he was looking at the icons, he was not yet at the point of developing fundamental language skills and could not yet use the device for social interaction with peers. 81. During the May-to-September time period, both before and after the AT training with Ms. Cottier, Ms. Knecht and Mr. Lopez worked with Student on his iPad throughout the school day, and it was on his desk first thing in the morning when he arrived. They worked with Student on his discrimination goal using his iPad, with two icons on the screen, with one being a preferred item and the other being a nonpreferred item, attempting to encourage him to discriminate between the two. After the Cottier training; the screen was configured to show four icons at a time, one preferred, one blank, and two “distractors” (i.e. intentionally incorrect items). 82. Ms. Knecht modeled the use of the iPad for Student, drawing his attention to it, pushing an icon for an item, then modeling the receipt of that item. She also partially physically prompted Student by helping him push an icon, then helping him receive the indicated item. He did not always correctly select among the icons and might indicate a toy rather than a snack, in which case the team would hand him whatever item the icon indicated; then would prompt his hand to the iPad to make a new, fresh request. 83. Mr. Lopez worked with Student using the iPad across settings, both inside and outside, helping Student use the iPad during breaks to identify preferred snacks and activities. Mr. Lopez took photographs of Student outside, and uploaded them so Student could point to that icon to indicate “outside.” Mr. Lopez also uploaded photographs of the playground, a highly preferred activity, that Student was successful in selecting. Student could also select icons for “all done,” “more,” “walk” or “lunch.” Other icons Mr. Lopez photographed and uploaded were for mango, beanbag, scooter board, the big yard, the kindergarten yard, water play, and body parts including head, legs, and stomach. 1. Student raises three issues, all of which concern whether he was denied a FAPE by District’s failure to implement his IEP between May 7, 2012, and September 7, 2012, the date Student filed the due process hearing request. Because each issue requires application of the same legal standard, the applicable law is set out first, followed by an analysis of each issue. 2. The petitioning party has the burden of persuasion. (Schaffer v. Weast (2005) 546 U.S. 49, 56-62 [126 S.Ct. 528, 163 L.Ed.2d 387].) Therefore, Student has the burden of persuasion on all issues stated in his complaint. 7. Student contends that until Ms. Cottier’s first training session on August 20, 2012, District did not properly implement Student’s IEPs and behavior plans, by providing iPad training for Student and staff working with him, as offered in his IEP. Student further contends that his service providers did not implement his IEP goals calling for iPad usage until after August 20, 2012. Student finally contends that District improperly delayed the scheduling with Ms. Cottier, such that the training was not timely. District contends that it materially implemented the IEPs and behavior plans at all times. 10. Student contends that District did not properly implement Student’s IEPs and behavior plans by properly training staff to provide proactive behavioral strategies, as established by District staff’s insufficient A,B,C data collection, and by District staff’s failure to attain perfect scores on STAR’s “fidelity checks,” which were not carried out every six weeks as required. District contends that it materially implemented the IEPs and behavior plans at all times. 16. Student contends that the speech and language services provided for in his IEP were not provided in the following respects: (1) group speech sessions were not implemented; (2) speech consult sessions were not provided, occurred without Student being present, and occurred amongst service providers other than aides; (3) Student’s iPad was used in speech sessions only as a “trial” even though regular usage was required by the IEPs; (4) Student’s iPad was not used in ESY nor regular year speech sessions until after the August AT training, despite IEP goals requiring same; and (5) speech communication logs were not sent home as required by the IEPs. District contends that it materially implemented the IEPs at all times.